Going abroad or out of town is always an adventure, especially when you get to share the experience with your little ones. But travelling with kids can be more challenging than your usual trips. For one, they can get easily bored, especially during flights that last for hours. Potty time can also be difficult to manage. It is important that you carry with you on the plane all the essentials for your child or children’s needs. Make sure that these essentials (food, milk, diapers, etc.) are easily accessible for whenever you may need them. Carry with you several toys or objects that can help keep your child entertained. Bring some stickers and paper. Do not bring toys that have small pieces or need to be assembled. There is a high chance of losing or leaving behind some of the parts. You can also encourage your child’s creative side by bringing paper or coloring books, stickers and crayons for their in-flight entertainment. Avoid, however, bringing sticky or messy food. Bring food that doesn’t need to be held for a long time and stays in your child’s mouth until he or she finishes. Juice boxes should also be in sizes where your child can finish fast to avoid spilling it. You can bring a tumbler or a juice container, but make sure that it is sealed properly. If you are bringing with you more than one child, you should bring small packs for each of the children to make sure they are not fighting over a single bag of snacks. Bring portable and durable gadget with you. It could be a cellphone or a tablet. Download a lot of entertaining and educational games or cartoons. If you’re lucky enough, your child will doze off after some time using a gadget. Another option could be a portable DVD player. Have them watch their favourite animated film that’s bound to last for at least a good two hours. Bring a set of earphones to avoid disturbing other passengers. Also pack with you a pillow to make your child feel more comfortable or better yet, have them fall asleep the whole flight. You can also opt to bring a thin blanket if it won’t make your luggage too bulky since airplanes can be a bit chilly. Give them small gifts in the middle of the flight. This can divert their attention and get them excited with their shiny new toy. It doesn’t have to be anything big or expensive, just something that you know they’ll be interested in. For instance, one of those toys that come with meals in fast food chains. Those kinds of toys are usually portable and is just one whole piece like a doll or a small action figure. If it’s possible, only have one bag to carry on the plane so that you don’t have your hands full. You may opt to have your kid carry his or her own backpack. This will let you have more space, and lets your children have the feeling of being self-reliant. Also, you will need at least one hand to hold your child. Your touch is the biggest source of comfort for them. Before the trip, explain to your child the security procedures of the airport so they won’t freak out once you are there. To help introduce some discipline to your child, let them be aware of authoritative figures at the airport and the plane who are on the lookout for misbehaving children. Make them wear shoes that are easy to take off and put on in case security makes them take it off. Landing and take-off can be a little scary for your child. Explain to them even before the plane ride what will happen. Give them a drink or something to put in their mouth to distract them. While waiting to board the plane, let the children walk around and play under your parental guidance. This is an opportunity to let them use up some of their energy because they will be sitting down the entire flight. Make sure they have used the toilet and have a fresh set of diapers (if they still wear one) before getting on the plane. Take advantage of early boarding. Let the attendants know that you need extra time to board. This way you can settle your children before there are other passengers inside the plane. Be prepared when flying with your children, most especially if it’s their first time. Long plane rides can be fun for the kids and a great bonding opportunity with them. But to share an even more enjoyable and stress-free travelling experience with your kids, wherever your destination is, go the extra mile by availing of a travel insurance policy from a trusted insurance provider like MAPFRE INSULAR. Visit MAPFRE INSULAR’s website at http://www.mapfre.com.ph and explore your options to know how MAPFRE can help you make more wonderful memories with your loved ones. Traveling on your own can be very rewarding, and for weary souls who need to take a break, it’s a great way to know yourself better. It may be a bit lonely and uncomfortable at first, but eventually, you will come to appreciate the core of traveling and how it transform you in unusual situations. When you travel unaccompanied, you will be more focused on the place you’re in. You will also be on your own terms—going about your journey according to your own preferences. As attractive as it may sound, traveling solo also means you won’t have a back-up person to rely on in case you encounter stressful circumstances as you go along with your trip, which, if you’re not careful, can also pose some danger. This is one of the reasons why many get put off by the idea. But of course, there’s a workaround. Instead of going crazy over which pieces of clothing would match your destination, why not pay attention to packing smartly and lightly? You only need to bring essentials to allow you to manage and keep an eye on your luggages at all times. Too much load also slows you down, and will wear you out quickly. It also helps if you plan your itinerary before the flight so that you’d know which specific items to pack. Some plain shirts, a rain jacket, a pair of jeans, a comfy sweater, swimming pants, underwear for a week are sound about right. Your body is adjusting to a different place, and maybe a different climate—not to mention the fatigue from all that traveling so there’s a chance that these adjustments might manifest physically. Carry your own first-aid box with basic medicines like aspirin, paracetamol and ibuprofen, as well as other materials like cotton, adhesive and bandages in case of a health emergency. These will also save you additional medical expenses. Also, always put your best foot forward before you depart for a foreign country. Keep notes of important contact details such emergency numbers, local consulate and embassy addresses. Naturally, immigration officials are watchful of tourists going in and out their countries. And since you are a traveler, keeping your documents accessible will help you well in case you get stuck in sticky situations. Photocopy your documents and make sure to leave some at your home. Separate the original from the copies and secure them at all times. The last thing you want to happen is to be a victim of identity theft in a foreign land with no way to defend yourself. Standing in long lines is a drag, but standing in long lines alone is almost unendurable. If you are going to popular attractions, museums or anywhere else that will require some waiting, securing online reservations ahead of time to places you’d like to visit will do the trick. Keep your family and friends updated. Tell them if you’re going on a road trip or if you’re already at the hotel or apartment just to let them know that you are safely arrived. This way, they’d know how to track you down in case of emergencies. Just because you’re travelling, doesn’t mean you have to be by yourself all throughout your journey. Connecting with different people and immersing in diverse cultures are what make travelling a rewarding experience. Take the time to connect with other travelers from which you could hopefully pick up some advice. Meet some locals also. They are experts of the things you are unfamiliar with but still be wary of sharing too much information with them. Make new friends, but use good judgement. You can never too sure about who you are dealing with. God forbid your wallet gets stolen with all your travel money inside. Still, it’s good to put your best foot forward in this situation by not stashing them all together. Instead, place your money in several compartments. More than carrying a credit card, it’s best for you to use cash at all times. Do not bring large amount of money while on the road and keep your emergency back-up funds in a separate. This is basically “going to battle unarmed”. Sure, part of the reason why you’re doing solo travel in the first place is because of spontaneity and discovering things about the place as the days pass can add up to the thrill, but you’re risking more than you bargained for in terms of budget and safety. Do your research and make appropriate plans. Introduce the city to yourself because this is where you’d be spending some time alone. The more you know, the more you’d feel confident and secure about your trip. You have all the time to do whatever you want. Explore activities you haven’t done before. Discover new delicacies to satisfy your cravings. Enjoy where you are staying and take in as much of it as you can. Stop the rushing and begin taking the time to relax and see what each place has to offer. Be aware of your bag or luggage most especially when you’re in a crowded place. Keep all your important items such as phone, passport, camera and wallet all in one place and not leave them out of your sight. It is better to go in a public place. Remember that you are alone in a place you’re not familiar with and there’s no guarantee that people will notice if something bad happened to you. Never forget to update your immediate family and friends wherever you may go. Dress appropriately and comfortably. Avoid wearing flashy jewelries as they naturally attract attention—both wanted and unwanted. Err on the side of safety by dressing modestly to prevent getting attention from wandering eyes. When it comes to safety, to go with your internal instincts. If you’re a bit suspicious of the place you’re going or person you’re interacting with, then leave. It’s never a good idea to become intoxicated in public. But when traveling solo, it can be an expensive, even dangerous experience. Keep in mind that public drunkenness results in a variety of fines and punishments around the world, and some of them are far more serious than you can imagine. If you pop in at a bar for an evening tipple, try to avoid getting too drunk. Limit your alcohol intake as there may not be anybody to take care of you. We couldn’t stress enough how inconvenient thing might happen when you travel that’s why purchasing travel insurance is a worthy expenditure. It will cover emergency medical expenses and baggage loss and delay, and recover at least some of the cost of your trip if your vacation has to be cancelled. 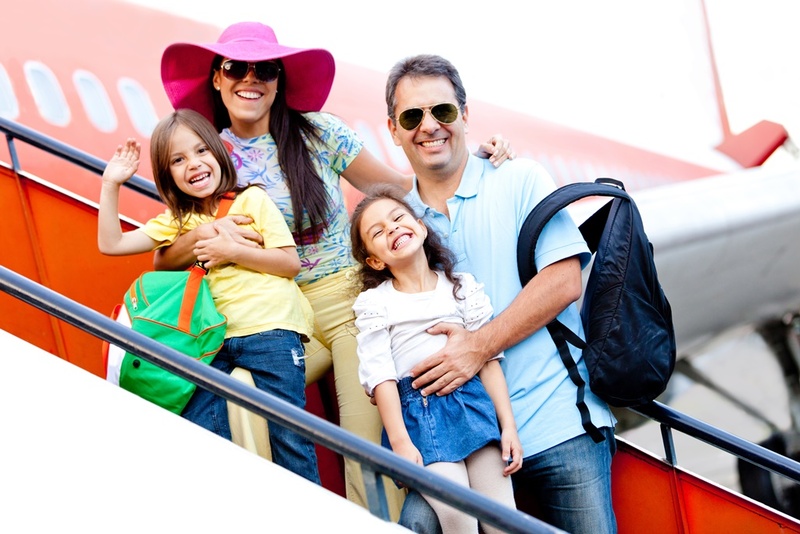 Travel insurance will be your partner, and youcan count on it to look out for you since you’re going on a trip alone. Keep and always carry a copy of your insurance in your luggage everywhere you go. Solo travel is a liberating experience. There is nothing more exciting than being the master of your own intuitions and being able to go to the destination of your choice, fulfill your bucket list and escape the humdrum and humbug of your routine life. But remember that in every journey, you will run into inconveniences when you least expect them to. This is why it pays to be alert should you decide to take on this experience, and a trusted travel insurance partner will leave you worry-free to explore the world. MAPFRE INSULAR offers superior travel insurance packages to provide assistance to you, anytime and anywhere in the world you may be. To help you decide what suits your travel needs, visit the MAPFRE website athttps://www.mapfre.com.ph/. Protect yourself while enjoying yourself. Get a quote now! Japan Vacation on a Usual Boracay Budget: How to do it? The world is fascinated with Japan. Its culture, technology and beauty are just some of the things that lure many tourists to experience its wonders first-hand. But for some frequent travelers, the “Land of the Rising Sun” is notorious for its high-cost expenses that many put off visiting the country for fear that their wallets may not be able to survive the trip. Some even opt to just spend their vacations on more budget-friendly local beach destinations like Boracay or Puerto Galera. This is where we come to the rescue: what many don’t realize is that traveling to Japan is as hackable as any other place and we’ve got just the tips you need! Save a bundle of peso when you schedule your trip during off-season, which starts every late autumn in March, because it is expected that there are only few people which means fewer costs. Avoid travelling to the country around April and mid-November because this is usually their peak-season which means, peak hotel rates too. Different airlines are now becoming more competitive in the market by offering the lowest of the low fare rates. During piso fare promos, tickets to Japan can go as low as P6000! The trick here, though, is to act quickly. As soon as you see the promo announcement online, book immediately. Usually, the travel period is still several months away, biding you more time to save on pocket money. Accommodation will get the biggest cut out of your travel budget but being the innovative country that it is, Japan has conceptualized capsule hotels for budget travelers. These are similar to dorms, except the beds are in enclosed boxes. You can also find plenty of hostels offering affordable rates online so it’s best to do your research first. When arriving in Japan, it is not advisable to take a taxi since they have the reputation of being the most expensive cabs in the world. In fact, there is a myriad of rail and bus options that could take you to many hotels and train stations in the country. Fast, efficient, and cheap. It is basically the best mode of travel in Japan. Short distances will just cost you 120 yen to 1,200 yen for long distances. Unlike fast food chains in the Philippines who get a bad rep for being unhealthy, the Japanese counterparts are actually kind of nice. The fast food there means steaming bowls of rice, savory meats, crispy dumplings, miso soup, sometimes with a side of green tea. For other cheap eats, they also have “button” style restaurants where you simply select and pay for your meal based on the photos and prices listed on vendo-looking machine. You just bring the receipt to the cook and voila! You can also check out Japanese street food and market for tasty and affordable finds. Some friendly locals from different cities in Japan offer free tours to tourists in exchange for English lessons. Probably the only thing you need to pay are entrance fees for the places you are visiting, and maybe a lunch or “meryenda treat” for the guide. 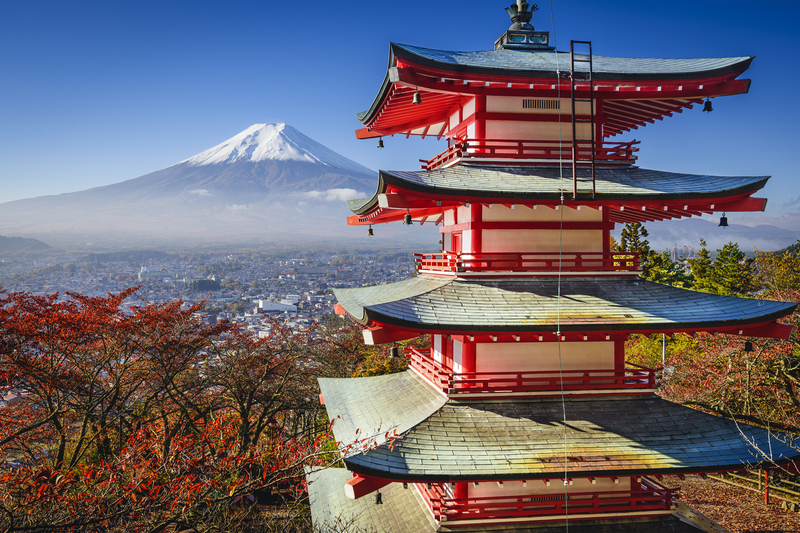 Japan would totally leave you in awe without letting you spend a yen just by seeing their beautiful architectures, ancient Shinto shrines, markets and urban living. If your schedule is not tight, take a walk at the streets and imbibe the local culture. It will allow you to interact with the locals more and you might also pass by stores where good gifts or “pasalubongs” that can be bought cheaply. Getting around the beautiful Japan or anywhere in the world, basically, doesn’t have to take a toll on your expenses. Travelling is about enriching your soul by opening yourself to new experiences and worldviews. Try not to act less as a tourist and, as they say, do what the romans do. There you have it, folks! Hopefully these tips will inspire you to visit Japan in the future.